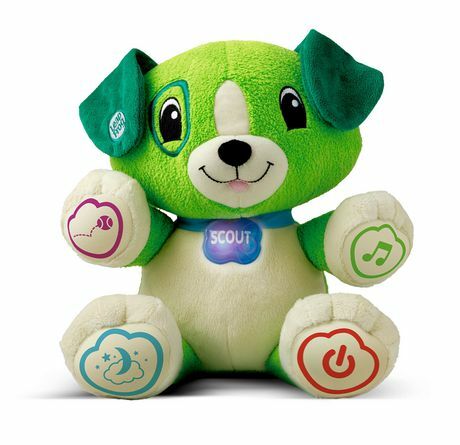 This cuddly puppy named Scout connects to the computer so a child can customize the music and personalize the learning with their name and favourite food, animal and colour. 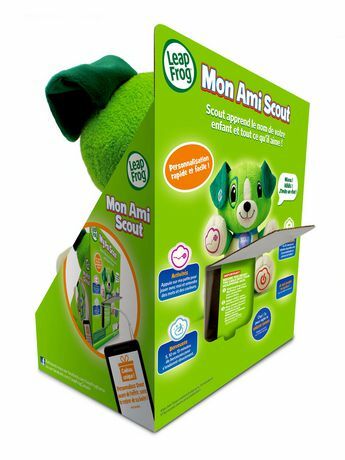 Scout comes with 5 pre-loaded songs, or a child can select and download a choice of learning tunes and lullabies from an online list of 30 songs. 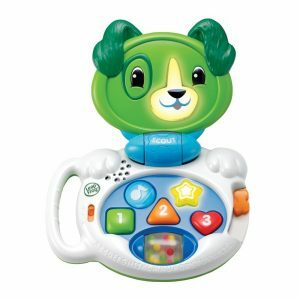 * Pressing a paw plays music, learning songs or games. 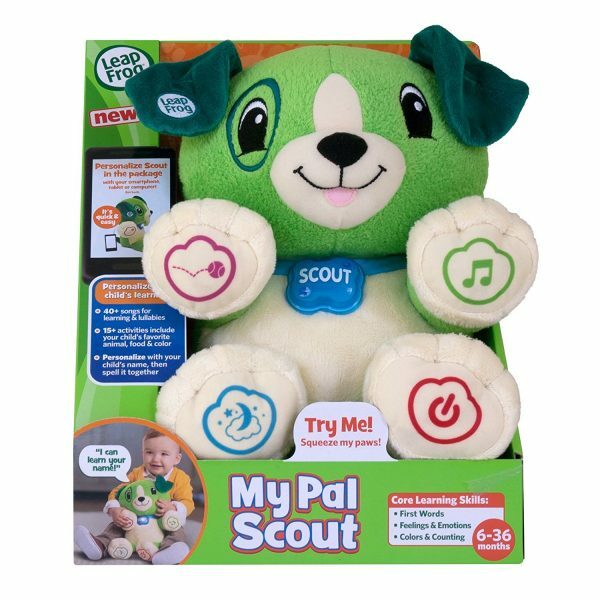 *Internet connection required to personalize Scout with a child’s name and favourite items or to change songs. 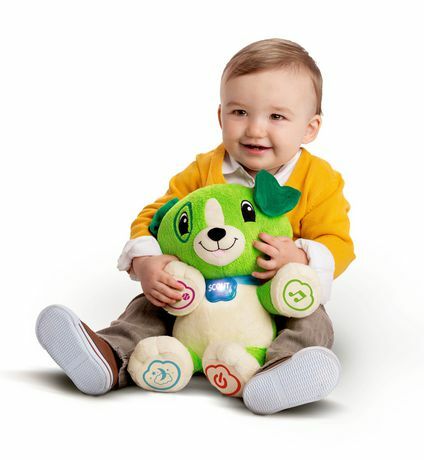 Your child will have a fun fantastic learning experience with the Leap Frog My Pal Scout. 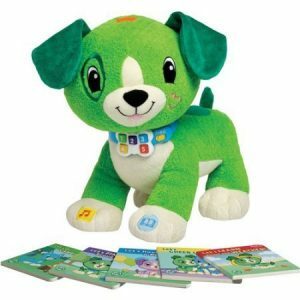 The loveable puppy can learn your childs name and their favourite things which personalises the experience. 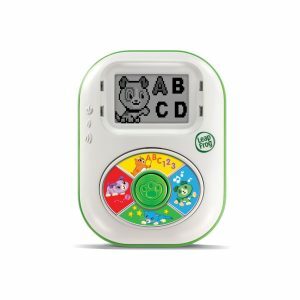 With more than 40 songs your child can also sing and play along. 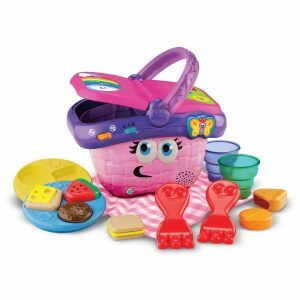 More than 15 activities helps teach Scout your childs favourite food, animals and colour.